Q- Please help me get the lowdown on an issue of great importance to me and the possible preservation of my marriage. My sister-in-law has put it in my wife’s head that we need to join them on one of these fancy river cruise boats in Europe. I farm for a living and I just don’t have any objection to making my wife happy, to endure her sister and her husband, and to relax on a boat for a week. I hear that most everything is included – all fine. But we just received the Avalon brochure and it looks like some of the folks wear a coat and tier for dinner etc. I do own a sports jacket but I haven;t had a tie around my neck for about thirty years. 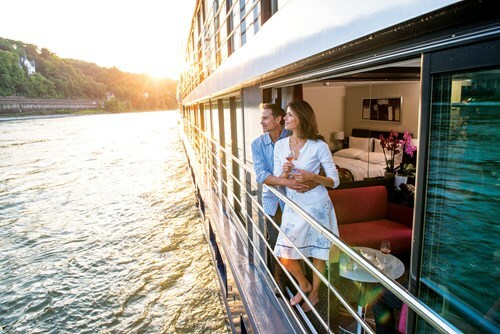 Just how dressed up would I have to get on a Rhine River cruise and will most of the men be bringing along tuxedos? Appreciate your time. A – You’re going to be fine – no ties required and no tux ever. A sports jacket with an open collar shirt is as fancy as you need to get on Avalon. Some folks go in a few days early and like to dine in fine restaurants ashore but even then, you will have no worries. Some of the major cruise lines do have designated “formal nights” but even then you can dine in a specialty restaurant where the dress is more casual. The trend, on both oceans and rivers, is away from formal dress. The problem for the cruise lines is that they do often appeal to an international clientele that prefers dress-up dining. But no issues at all on river boats. Best, however, to leave the overalls at home.